At VDS we aim to provide the best veterinary medicine has to offer - which is why we have invested a tremendous amount of time and resources in creating the only facility of its kind in the United States where we not only specialize in veterinary dentistry but veterinary anesthesia as well. Our staff is highly trained in delivering the ultimate customer service experience and through this we are certain you and your pet will receive the specialized attention and care you deserve. We are committed to this promise. We can’t wait to share the VDS difference with you. 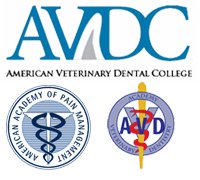 The founder of Veterinary Dentistry Specialists, Dr. Rice is a board-certified veterinary dental specialist and Diplomate of the American Veterinary Dental College (AVDC), with a strong track record of both academic and professional achievement. He completed an internship in dentistry and oral surgery at Florida-based All Pets Dental Clinic under the mentorship of renowned veterinary dentist Dr. Jan Bellows, former president of the AVDC. He then completed and academic residency at the University of Wisconsin under the mentorship of Dr. William Gengler, also a former president of the AVDC. Dr. Rice then became the attending clinician of the dentistry and oral surgery service at the University of Pennsylvania School of Veterinary Medicine. Dr. Rice has authored several research publications, lectures nationally and internationally on topics relating to the diagnosis and treatment of diseases of the mouth and face of dogs and cats. In his free time, he is an avid cyclist and follows competitive cycling feverishly. He is an avid outdoorsman who also enjoys following the English Premier League and racquet sports including racquets and squash.